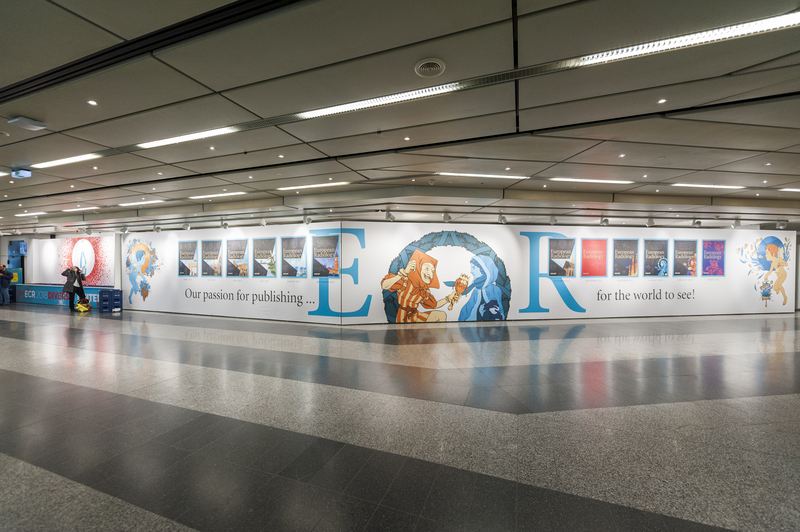 The editorial team of European Radiology (ER) proudly looks back at a successful ECR 2018! 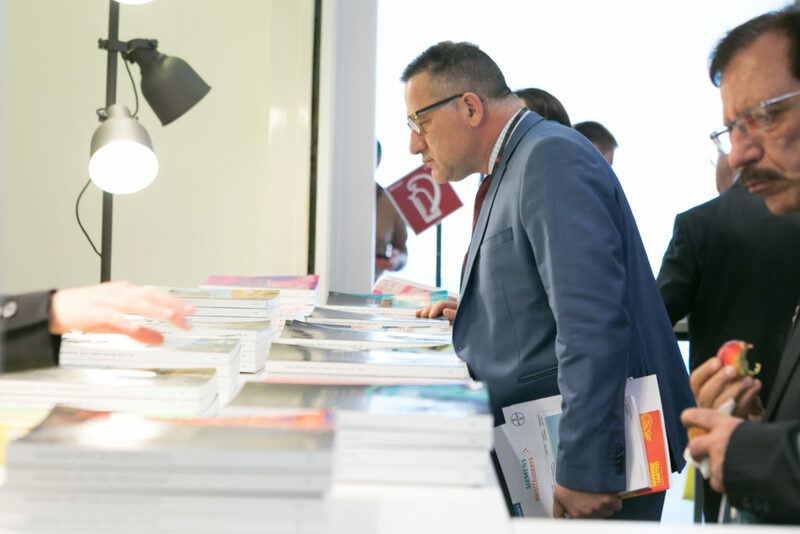 The journal was prominently visible at the congress with, amongst other things, a stand, its own journal wall, and several meetings – including a personal Meet and Greet with European Radiology Editor-in-Chief Prof. Yves Menu! New at this year’s ECR was the possibility to personally meet with Editor-in-Chief Prof. Yves Menu, and ask him about all of your most pressing questions, as relates to scientific publishing on radiology. To more in-depth deal with the publication and review process of European Radiology, Prof. Menu gave a presentation during the ESR Publications Committee session, where he shared his insights on the topic. This meeting was extremely well-visited. Due to this year’s success of the format, plans are made to expand this format for next year’s ECR. European Radiology was represented at the Jams & Journals themed booth, dedicated to the journals published by the European Society of Radiology. The booth was prominently located in the main entrance hall, next to the journal-themed wall. 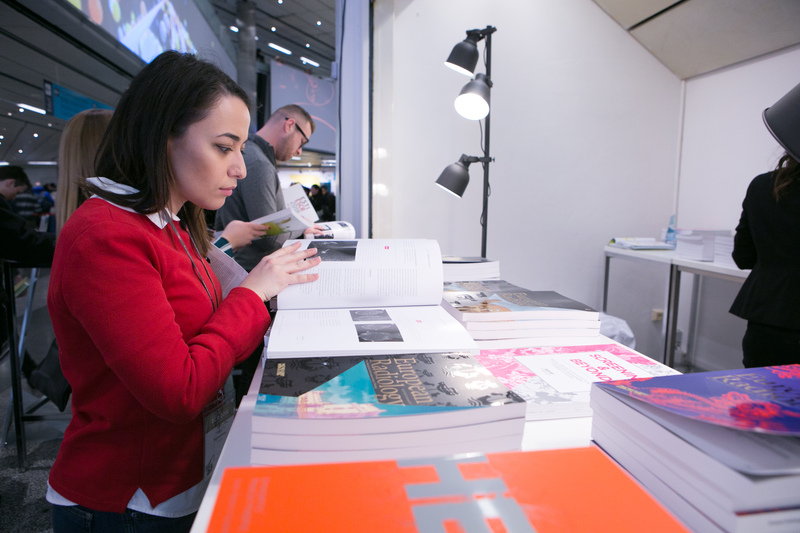 One could read all the print issues from 2017 and the available ones for 2018 at the booth, take with the available jams from Unverschwendet, or ask questions about our journals. The journals were free to take with home. We noticed the large amount of congress visitors who came by at our booth, and we are proud of the abundance of enthusiasm and positive feedback we received about this concept, the journals, and of course the beautiful journal covers. The jams from Unverschwendet (meaning ‘unwasted’ in German) are made of surplus fruits and vegetables saved from waste, and as such greatly exemplify the sustainable image of ECR. 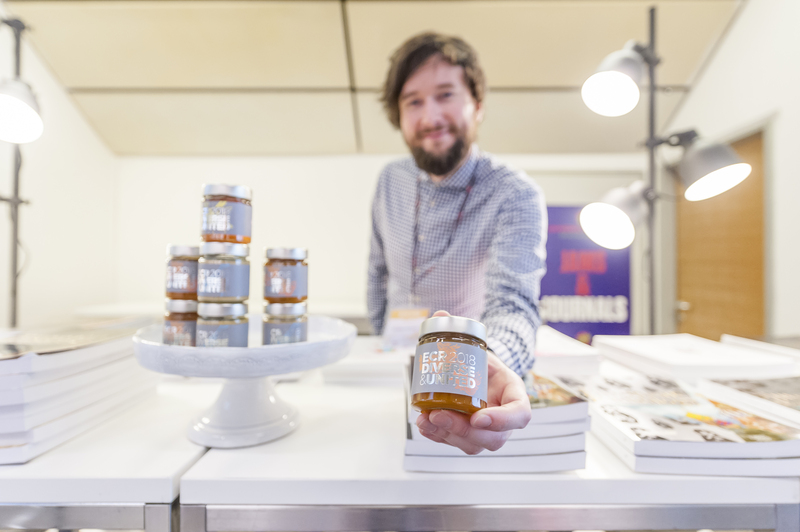 The jams at our booth were available in the tastes Apricot Jam, Apple Poppyseed and Mustard, or Pear & Chili Jelly. Read more about the Unverschwendet concept here. Hard to miss for congress attendees was the huge journal wall, standing next to our Jams & Journals booth at the backside of the main entrance area on the ground floor of the Austria Vienna Center. This wall was dedicated to the covers of European Radiology. The 2017 covers featured iconic landmarks and sights in European cities and countries, and this year’s covers are dedicated to those impressive calendar vignettes from back in the days. We noticed the many visitors coming by at our meetings, our booth, and their enthusiasm for our journals. We happily look back at a successful ECR, also for European Radiology, and are glad we could engage in great conversations and answer many questions. Above all we are proud that the ESR journals aroused such a huge interest in the congress attendees.